Are too many Kodak moments slipping away while you’re frantically trying to turn on your iPhone’s camera? I know the feeling. Get ready for a trio of tips that’ll help you launch the iPhone’s camera app in a flash, hit the shutter button with perfect aim, and sneak a lightning-fast peek at the photos you just shot. Update [4/1/14]: Some of these tips are now out of date. Click here for my latest iOS 7 camera tips for iPhone & iPad. You’re out and about with the kids when one of your little ones does something especially photo-worthy. But by the time you’ve unlocked your iPhone and swiped your way to the Camera app, the moment’s over. 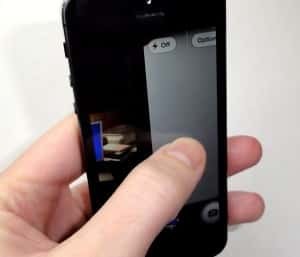 Tap, hold and swipe up on the camera icon to jump directly to the iPhone’s viewfinder. Click the Home key or the sleep/wake button to light up the iPhone’s lock screen; you should see a little camera icon sitting to the right of the familiar “slide to unlock” slider. 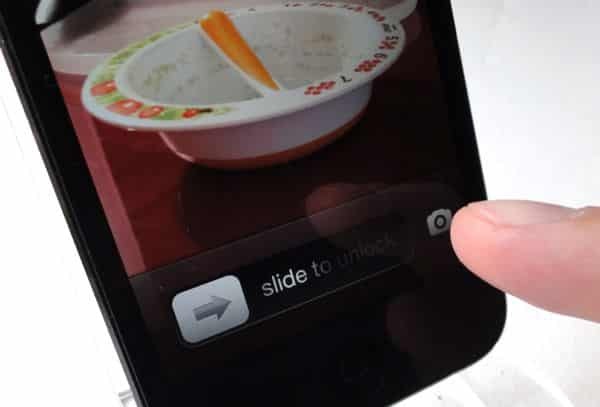 Tap and hold the camera icon, then swipe up—and when you do, the iPhone lock screen will slide up like a window shade, revealing the camera viewfinder. Go ahead and snap away. Note: In case you’re wondering, no—an iPhone thief can’t use the camera shortcut to bypass your passcode. You’ll still need to enter your PIN to browse your previously-snapped photos, place a call, or access the home screen. You’ve been tapping, tapping, tapping away at the iPhone’s camera, only to realize later that you failed to squeeze off a single shot. The iPhone’s volume buttons double as the shutter release for the camera. 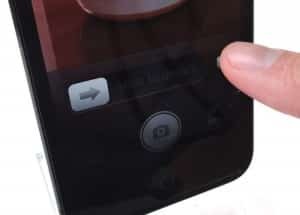 Well, chances are your fingertip missed the virtual shutter button on your iPhone’s slippery touchscreen. Here’s a solution: instead of dealing with the on-screen shutter release, try clicking one of the volume buttons to snap a photo. And yes, either volume button will do. You just took a series of baby photos and you want to see if any of them came out … but you also want to be ready for any unexpected grins. Swipe from left to right on the viewfinder screen to jump to the last photo you snapped. Well, you could always tap the little image thumbnail in the bottom-left corner of the viewfinder screen to review the shots you just snapped, then press the blue camera button to go back to the viewfinder. From the camera viewfinder, swipe from left to right, and you’ll instantly jump to the latest picture in your camera roll. Swipe the other way, and you’ll wind up back at the viewfinder, ready to snap photos again.